I sure hope you aren't too sick of projects from Miss P's birthday party yet because I have another one for you today and there may still be one more waiting in the wings. Today's project is so easy... SO EASY!! 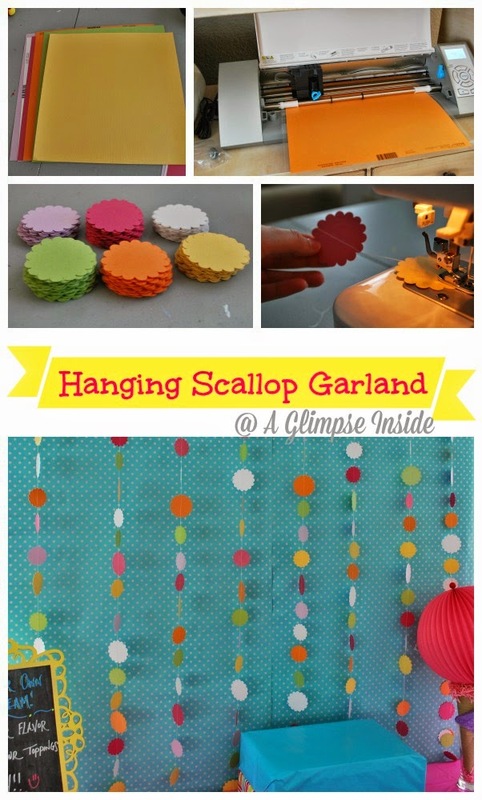 Start by setting up your scallops to cut with your machine (I used a Silhouette). I cut larger scallops and smaller scallops. Hit cut and sit back as it goes. 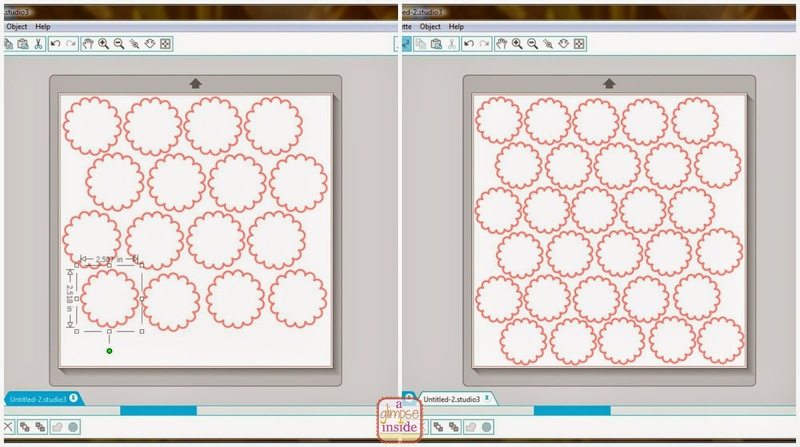 You will need a good amount depending on the amount of garland. 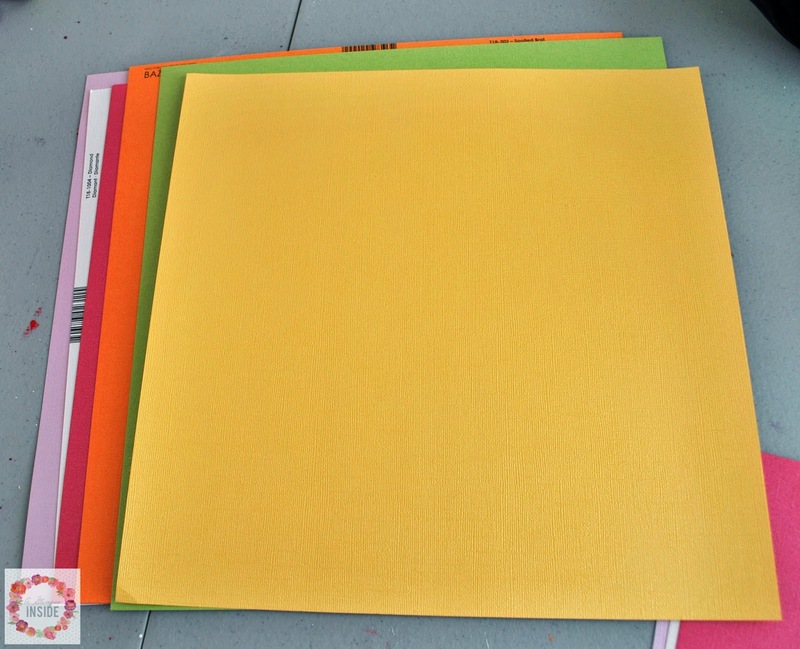 I had two sheets of each color and cut a small set and a large set. 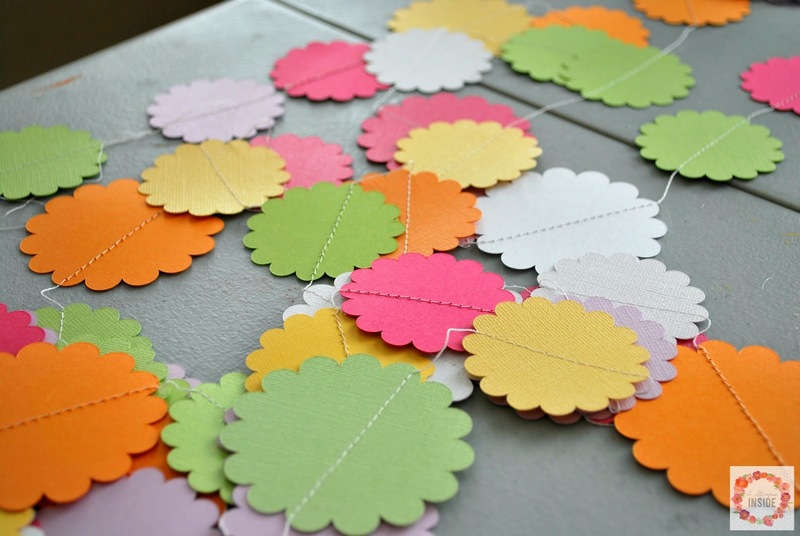 All the colors I was using all cut out as small scallops. 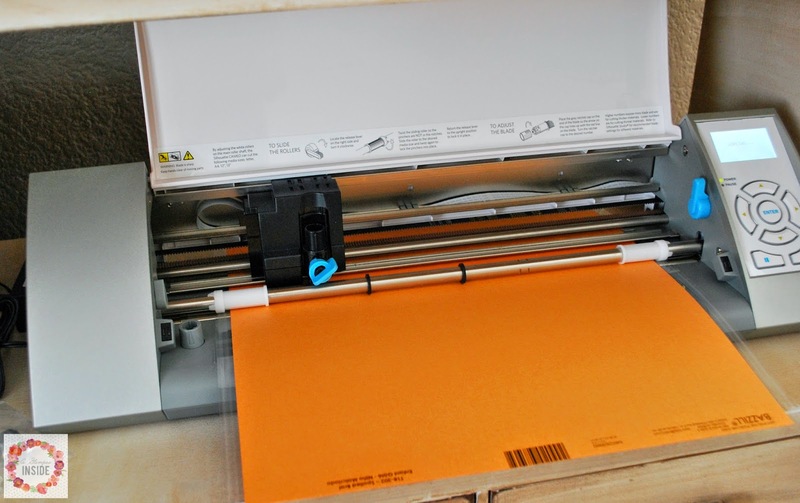 Next, whip out your sewing machine. 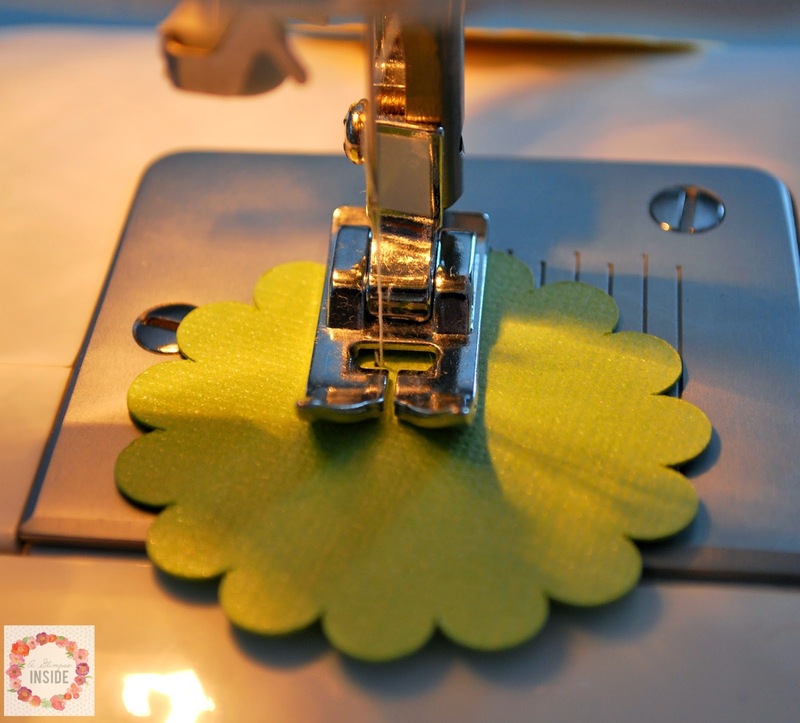 Just sew through the scallops like you would sew through fabric. 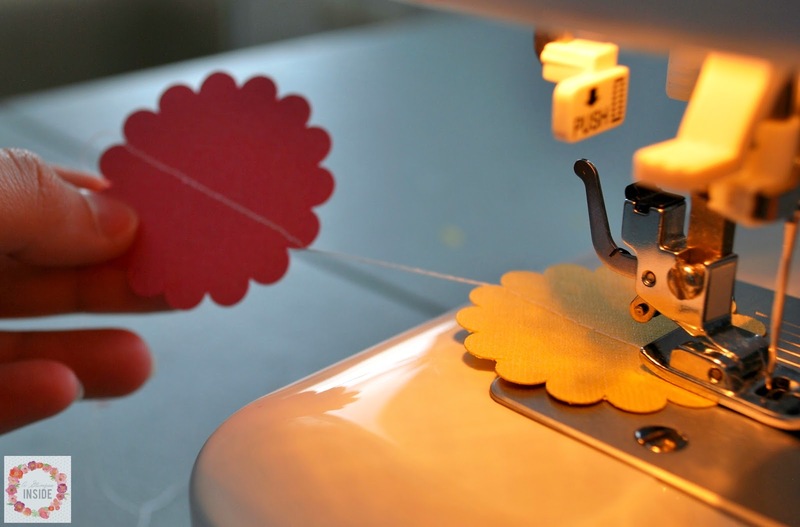 Once you sew through one piece, pull it to create a gap with the thread before feeding another scallop through the machine. And just keep sewing until all the scallops are used. I would do a few small scallops then throw a large one in the mix. I told you that was an easy project! 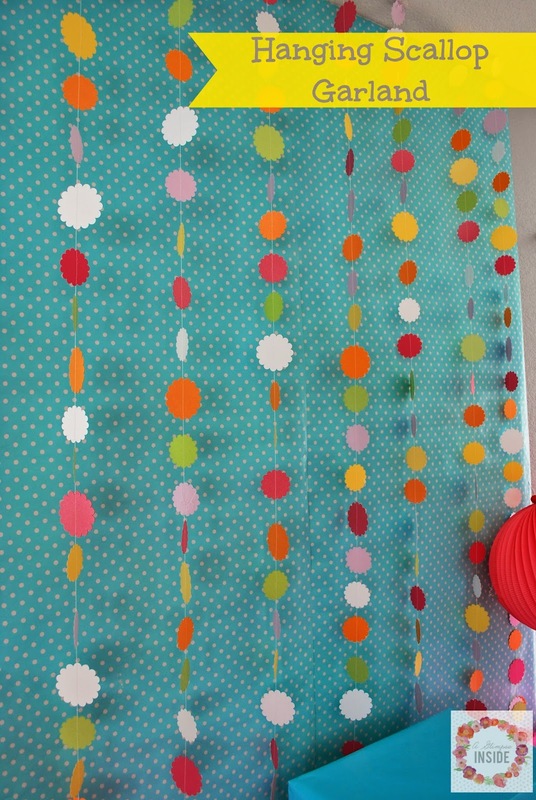 And when ready to hang, just cut the thread to make separate garlands the length you like. I place a piece of tape on the end of the thread and then pushed a push pin through the tape and pushed the pin into the ceiling to hang. 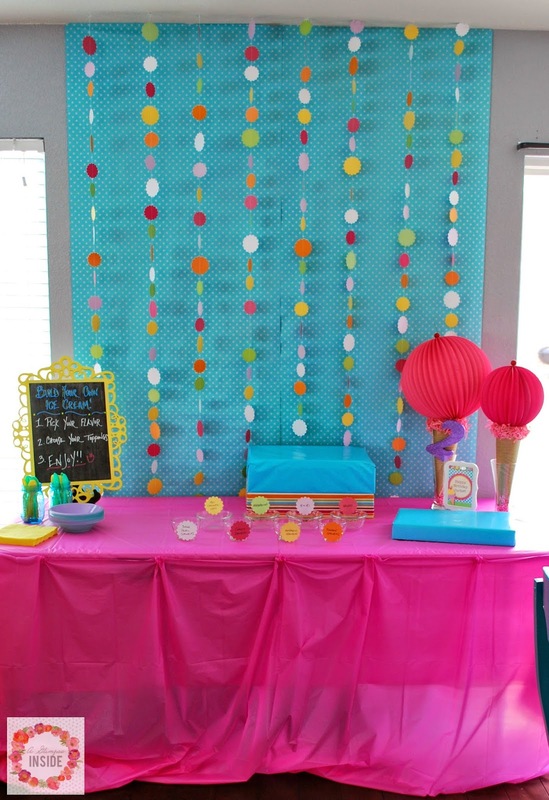 I hung it behind the dessert table at the party and I loved how it looked!